What is a form of government in which citizens govern themselves? Who is someone who uses reason to explain natural events? 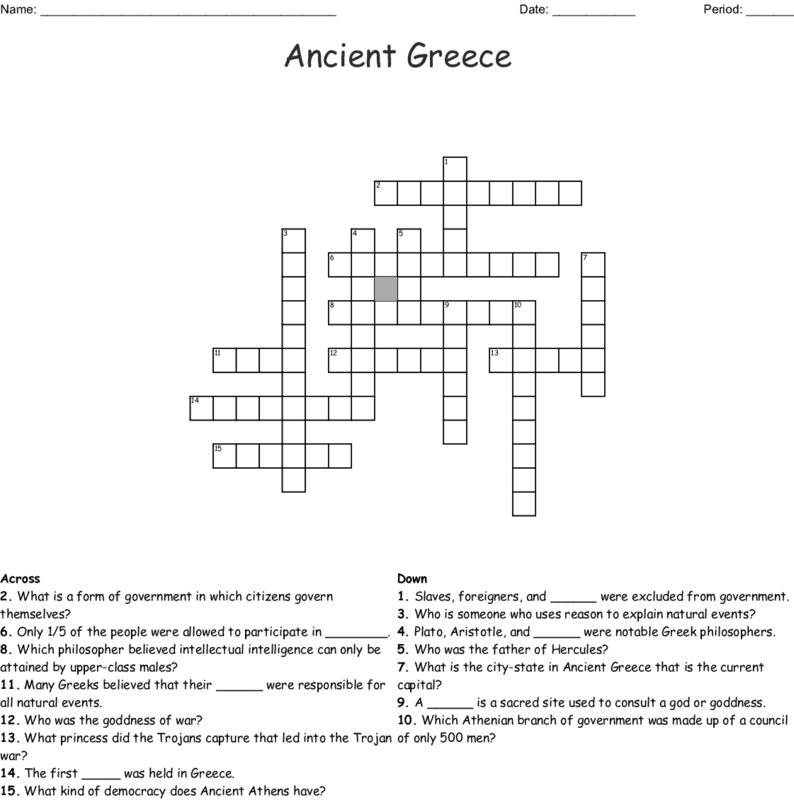 What is the city-state in Ancient Greece that is the current capital? Only 1/5 of the people were allowed to participate in ________. Slaves, foreigners, and ______ were excluded from government. Plato, Aristotle, and ______ were notable Greek philosophers. Many Greeks believed that their ______ were responsible for all natural events. A ______ is a sacred site used to consult a god or goddness. Who was the goddness of war? Who was the father of Hercules? The first _____ was held in Greece. Which philosopher believed intellectual intelligence can only be attained by upper-class males? Which Athenian branch of government was made up of a council of only 500 men? What kind of democracy does Ancient Athens have? What princess did the Trojans capture that led into the Trojan war?